Fevzi Turkalp, the Gadget Detective, joins Allison Ferns on BBC Radio Sussex and Surrey to answer listeners' technology questions. This week; problems with a faulty drone purchased from a shopping channel, what are your rights? What can you do when an Apple 5 refuses to charge, plus how to extend your wifi range at home. Plus some hints and tips when buying online. 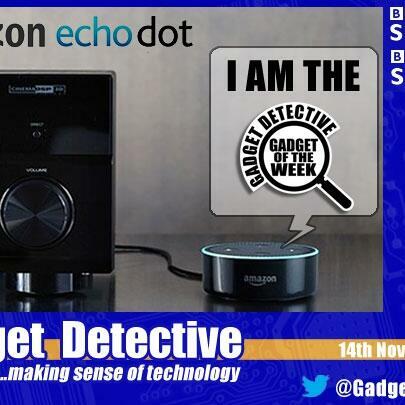 The Gadget of the Week is the Amazon Dot. This sister product to the more expensive Amazon Echo offers all of the main features plus it can be hooked up to your home stereo. Listen in for more details, including some awful jokes, and why it became Gadget of the Week.